If you missed it, this weeks real food ABC was on the freezer. 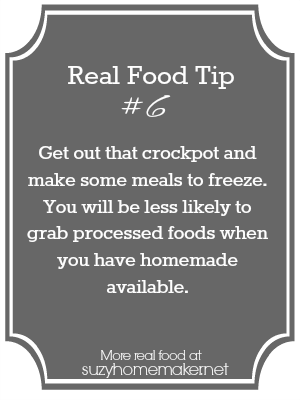 Utilizing your freezer and making freezer meals can help increase real food and decrease boxed meals or eating out. I created a printable to help you. 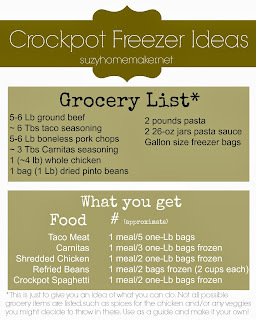 If you were to use this you could make 5 things in your crockpot (affiliate link)and have enough for ~ 19 meals!! These are only suggestions and do not include recipes. This is just to give you an idea of what you could do. Okay technically some of these are not "meals" but they are a good start to create a meal from. I was definitely on a Mexican food kick when I wrote this. The amounts are approximate. 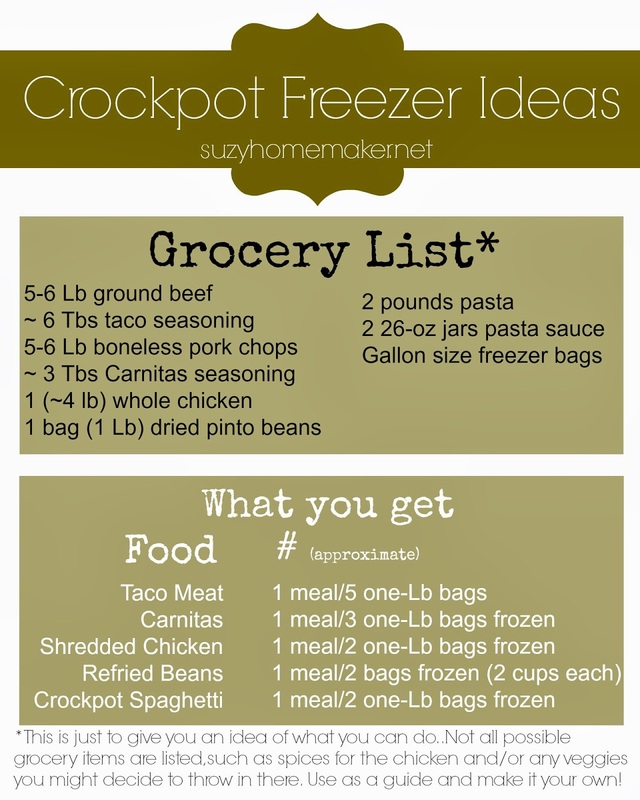 If you have a bigger family who eats more, you may not get the same number of freezer items. Some grocery items are not listed. Things like spices or butter/oil.